Attention Beautiful LADIES (& by that, I mean ALL of you!) It is officially time for you to realize just how beautiful you are. We’ve got a PORTRAIT SPECIAL for you! For just $99, you’ll get a 3 hour portrait shoot at Studio 828 Photography (with up to 5 different outfits), wardrobe and preparatory consultation, and makeup artistry for your very own beauty photo shoot. With your portrait order you’ll also receive one of our most popular products, the 8×10 metal desk portrait (a $275 value). ***We are offering UNLIMITED sessions at this $99 value from now through December 23rd (spouses, are you listening?) for 2016 sessions. Are images included in the $99 promotional pricing? No, images and artwork are priced separately. Give us a ring! We can chat about what you have in mind for your beauty photo shoot and pricing in detail. I’d love to gift several of these sessions to my friends and family. Is there a limit to the number of sessions I can purchase at this $99 price? Nope. When I say UNLIMITED, I mean it! Can I add additional monies to the session so that whomever I gift the session(s) to, can buy artwork? Is there an expiration on the sessions? 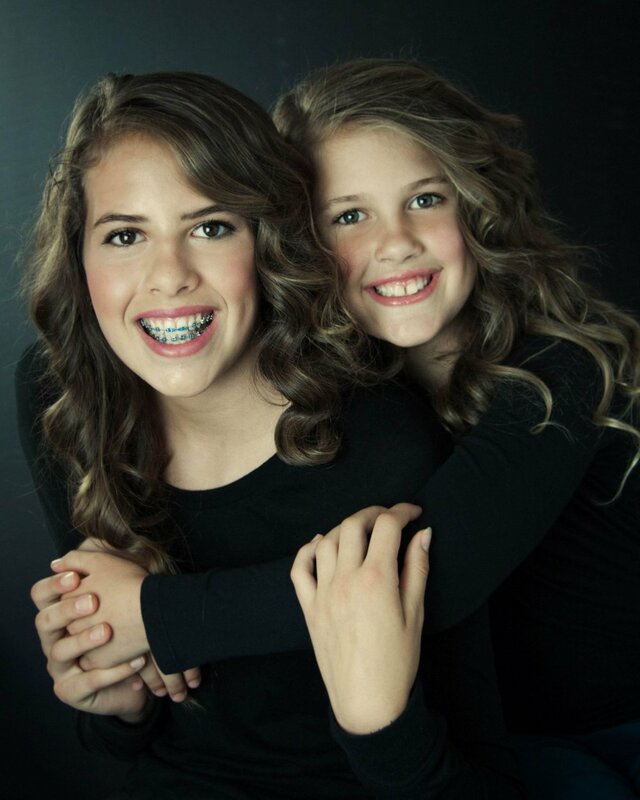 Can I include my sisters/best friends to my session? Best friends/Sisters/Daughters – Each additional person will need to book in at this pricing and we will schedule you all together. Can I bring in my boyfriend/spouse? Absolutely! We’ll bring him in for the last 30 minutes of the photo shoot and include him for no extra charge. What if I just want the digital files from our session? What is a Gift with Purchase? With your portrait order we are gifting you with one of our most popular menu items, an 8×10 Metal Desk Print (a $275 Value). They are stunning! Happy Holidays my wonderful WNC beauties! So, let me ask you a question: How many of you have family coming into town for the holidays this year? Parents, sisters and brothers that perhaps you haven’t been in the same room with for 2 years, 5 years, maybe more? For the first time ever, we are opening up on-location or in-studio family portrait sessions here in Asheville and the surrounding communities the week after Christmas. We are opening 5 appointments between December 26th and December 30th, with special package pricing to create memories with your family. OK Cat, how does this work? I know my Mom would LOVE a family portrait of all of us together. How do we make this happen? Simple! Pick up the phone and give me a call. 828-275-9932 and we will book in your consultation. This can be in our studio in the River Arts district or via Skype. We will discuss your family, what you have in mind, location options, what to wear, when we can schedule your photo shoot, and artwork and package options to suit your family’s needs. We’ll get your appointment confirmed with our calendar and voila! Best. Present. Ever! Please do get in touch ASAP as I don’t expect these appointments will last for very long. Happy Holidays and Ho, Ho, Hooooooo! I love bringing cheer and goodwill and this year have we got a doozie for you! Have you been considering a portrait session? A photo shoot by yourself for work, to celebrate a milestone in your life, to celebrate you, to create part of your legacy for your kids and grandkids, but something is always stopping you? Maybe you’ve been putting it off for one of the reasons here: I need to lose weight, I’m not pretty enough, I only need pictures of my kids, It’s too expensive, and the list goes on. When you purchase a portrait session with Studio 828 Photography before 5:00pm on December 1st, we are going to gift you a second complimentary portrait session for you. BOGO Baby! Look, we all know that Mom and Grandma have been begging you for a portrait session (C’mon, I know it, you know it, let’s be real here) where the three of you come in together and create beautiful memories. Well, let’s do that for them and Dad’s, are you listening in on this conversation? You can win some serious points this holiday season, too. 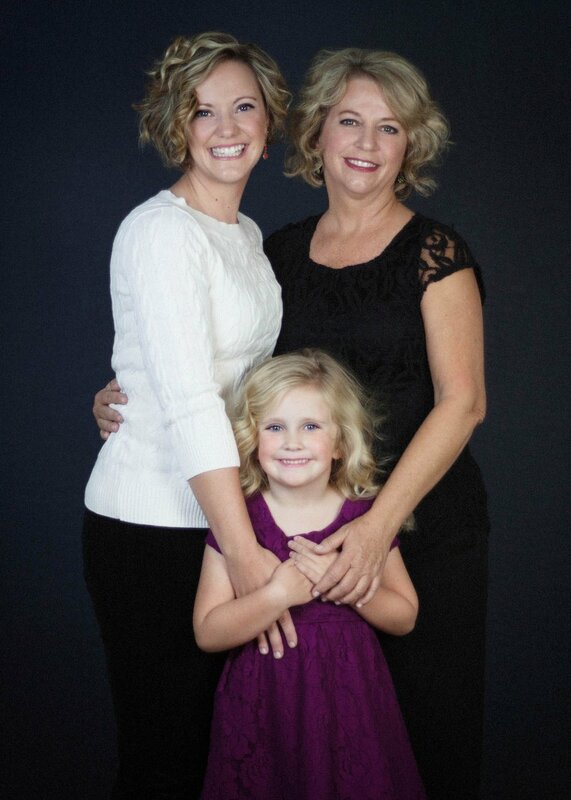 Have you thought about gifting a session to your wife AND one to your Mom, too? You might even win Dad of the year for that one! The best part is, when you confirm your portrait session with us before December 1st, we will send you a beautiful gift voucher for you to use anytime during 2016 however you would like. 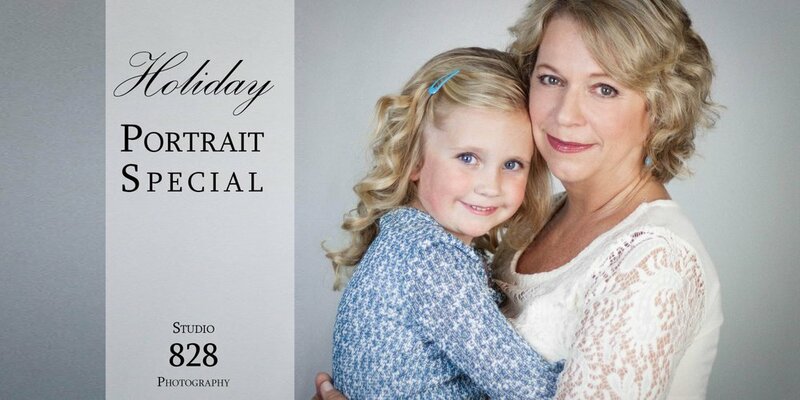 Maybe you would love a beautiful portrait session designed just for you. Maybe you have a friend or sister that you would love to gift the session too.Whatever you choose is fine with us. We’re happy that you’re entrusting the creation of this artwork, these memories, these heirlooms with US. Get in quickly. Our cutoff is 5:00pm EST on December 1st so reach out here, email us, or call 828-275-9932 to take advantage of this offer before it is gone. Personal consultation – One for each photo shoot. We tailor each of our photo sessions to our clients, their needs and desires for their artwork.